Recruiting Questionnaires: Don’t Throw Them Away! Once you enter your first year of high school, college coaches are allowed to send you material about their school and sports program. While they may not be able to speak with you just yet, receiving information in the mail is just the first step in the recruiting process. But it is a step that requires a response. Getting information from a college coach does not guarantee that they will start recruiting you. It is merely an invitation to express your interest in the school if you have any. Yes, college coaches are sending these recruiting questionnaires to hundreds of Potential Student-Athletes (PSA). But that is part of funneling in the recruiting process. By sending them to hundreds of athletes, they are hoping for a few dozen interested recruits. And from there, they will evaluate the questionnaires and weed out the athletes they are not interested in. Then they will develop a recruiting list of PSA that they want to pursue for their program. 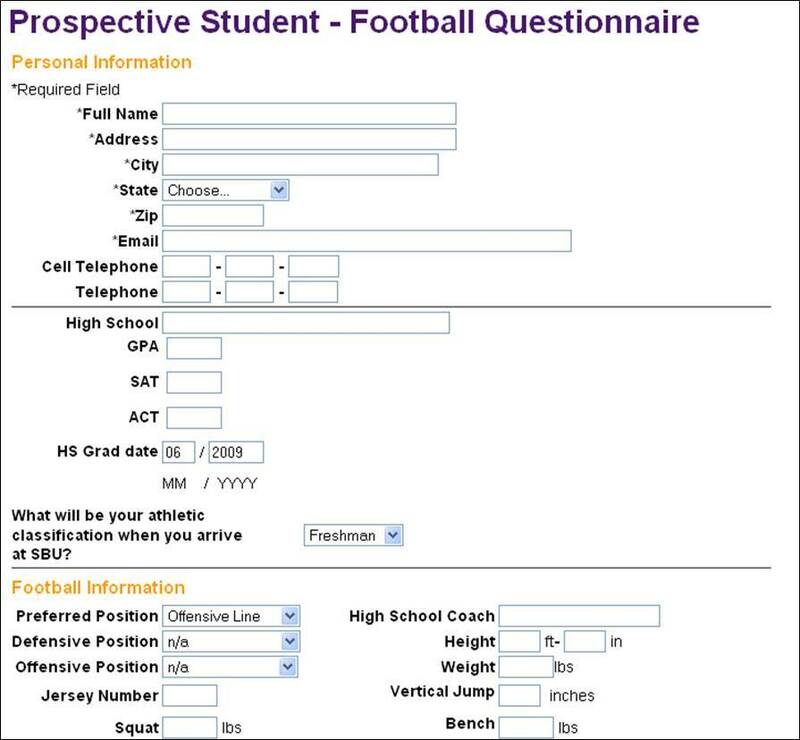 Recruiting questionnaires give the college coach valuable information about you as an athlete and a possible student at their school. By filling these out, you are confirming with the coach that you are in fact interested in their school, and would consider applying there. Coaches will put athletes who fill out their questionnaires in their system so they can track them as a PSA. Help keep your options open: By responding to more schools, the more chances you’ll have to find a scholarship opportunity. Get in the coaches’ recruit systems: Coaches are less likely to pursue recruits who don’t return the questionnaires that they send. Make sure not to miss any opportunities! Once you receive the questionnaire: Fill it out with as much information as you can provide. Make sure to keep a record of which questionnaires you fill out and keep a copy if you can. After you have filled it out: Return it promptly to the appropriate coach. Follow up with the coach to make sure they received it. 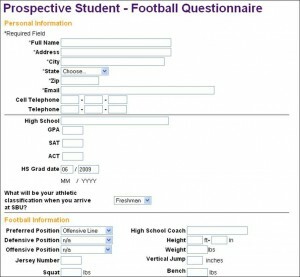 Be Proactive: Many college coaches offer their recruiting questionnaires on the team websites. If a coach hasn’t sent you a recruiting questionnaire in the mail, it doesn’t mean you don’t have a chance there. Fill it out online to help keep your options open and get in the systems of any school you are interested in. If you have any questions about recruiting questionnaires, then leave a comment below and connect with us on Facebook and Twitter.